The Blockchain Summit in London started off with a panel exploring for which industries and applications blockchain can add the most value. Asked to identify the industry where it will have the most impact, surprisingly Ken Marke of the Blockchain Insurance Industry Initiative (B3i) chose supply chain. The rationale is that both a supply chain and a blockchain are networks. Boris Spremo from BNY Mellon bank believes that in many industries it’s still a technology looking for a problem to solve. He opined that it was well-suited in finance and payments in particular. Mainstream adoption is more likely initially in the third world and for financial inclusion. The banker observed that crypto would be the first industry to generate streams of revenues. Some players such as exchanges like Coinbase already have significant revenues. BP’s Manish Naik views cost reduction as the initial primary focus, particularly where the industry faces common issues. For example in the Know Your Client (KYC) process that banks have to go through. There’s less line of sight for value-generating new business models, so these will be slower. Ken Marke noted that in the insurance context there are concerns about insurers wanting to disintermediate brokers. He was wary of his wording and said, “true disintermediation? I’m not sure you’d completely eliminate someone like the broker who has got some value to add. But by making them more efficient, yes we might lose a few brokers along the way.” He added that the focus needs to be improving the service to the customer. Continuing on the theme of disruption, Spremo from BNY Mellon addressed cryptocurrencies and ICOs. One comparison is with the investment industry where the process of exchanging securities is a complex one. It involves many intermediaries, custodians, broker-dealers, exchanges, counterparties, and so on. This contrasts with a simple smart contract for transferring assets in the cryptocurrency world. Spremo also compared ICOs to Venture Capital companies with their large capital bases acting as a barrier to entry. One of the most significant differences in the ICO world is the lack of knowledge about the issuer and limited due diligence. In his view, ICOs are an additional market that has tapped excess capital. In the oil and gas sector, Naik from BP sees certain types of applications getting traction. He gets a positive response provided there’s no mention of tokens or intellectual property issues and the focus is on efficiency gains. So he envisions large asset-heavy industries like his focusing on supply chain with traceability and the ability to trace defective parts. But that’s not disruption. Naik can anticipate the potential for future tokenization in the oil and gas sector but perhaps alongside other innovations. For example with peer to peer trading of renewable energy, and as autonomous cars take off to pay for things like tolls. His second concern is that with excess enthusiasm people forget that the objective should be to solve a business problem. 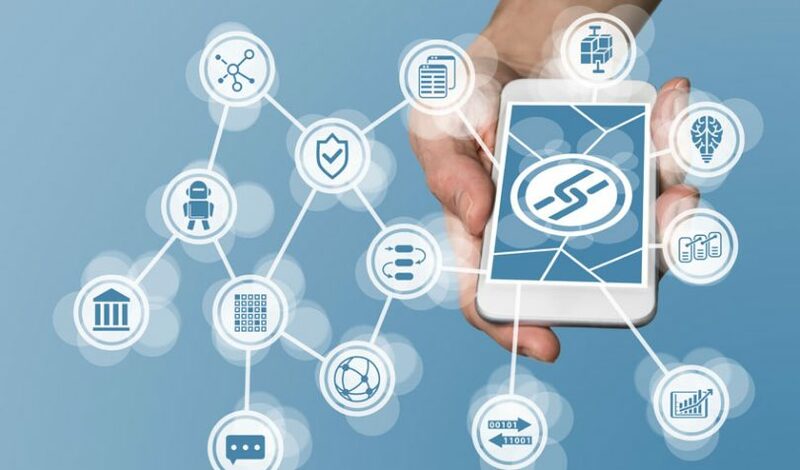 At the moment, many enterprises implementing blockchain do so in a permissioned environment. In other words, there is an agreed set of organizations on a private blockchain, compared to open access public blockchains. Public blockchains tend to aim to be decentralized. In a slightly controversial comment Goudarzi said: “truly decentralized systems don’t exist and when they do, you start getting into problems.” He clarified by pointing to the sometimes problematic governance of public blockchains and the uncertainty this creates if businesses were to use them. For example in the past Ethereum forked or divided because of a disagreement.